In 2006, when the first episode of Heroes TV series appeared on our screens, many people went incredibly ape over stories about seemingly ordinary people who actually had a variety of superpowers and had to play a main role in preventing a global catastrophe. But after the second season, it became clear that Heroes TV series has lost all logic of the events, and the interest of the multimillion public to it has come to naught. But now, four years after the last episode of the 4th season, the creators of this fantastic picture have reported that they are planning to shoot Heroes Reborn, which will appear in 2015. According to Tim Kring, the sequel will consist of 13 miniseries and one exclusive tie-in. So far it is unknown which of the main characters will return to Heroes Reborn, as some of them are already involved in other projects (Zachary Quinto, for example). But we would like to hope that this time those who will work on the project will manage to offer us something really worthwhile, and we will be able to enjoy Heroes Reborn. And what do you think about this news? 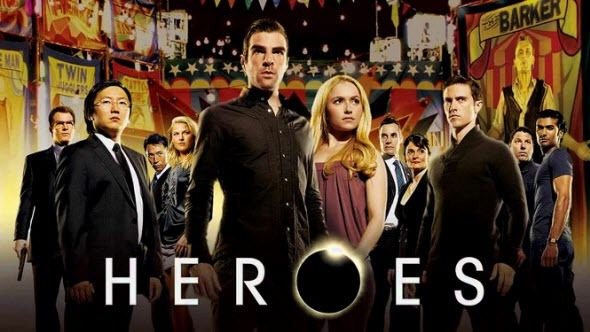 Are you glad that Heroes TV series will return to our screens? We are always happy to see your answers in the comments below.